What is the Summertime Picnic all about? When a parent is told their child has a life threatening or terminal illness, their lives are turned upside down. They are thrown into a world of hospital treatments, appointments and medical jargon which can be overwhelming and frightening. Brothers and sisters are often cared for by other family members as parents rally around to make vital appointments and treatment for their sick child. Our Family Support Workers help by giving families time to focus on each other. The Summertime Picnic is a fundraising event for seriously ill children and their families. We ask people across the UK to host their own Picnic and donations on the day are made to Rainbow Trust. With your help, we can reach more families who urgently need our support. 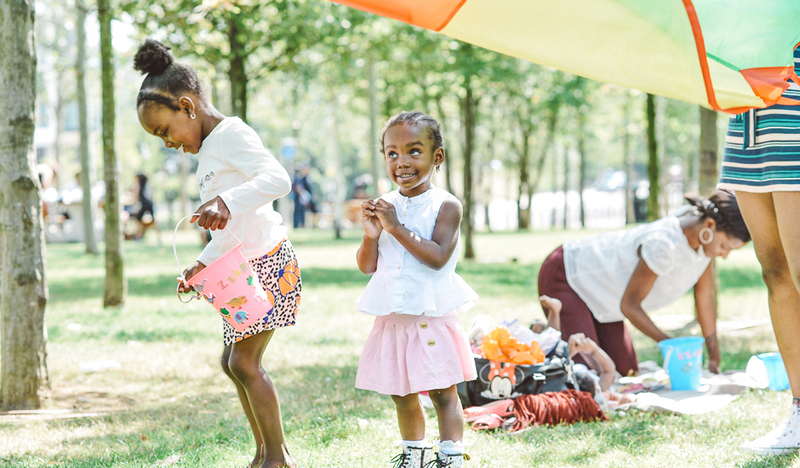 Celebrate this summer with Rainbow Trust with a picnic at home with family, in the park with friends or at work with colleagues and spend time together. Today there are an estimated 49,000 children and young people in the UK living with a life limiting or terminal condition who may require palliative care. Our goal is to make sure no family has to go through this alone. We provide practical and emotional support to these families, in their home, in the hospital and the community and because serious illness doesn’t just affect the sick child, we’re always there for friends and family too. It makes everything from inviting your friends to raising money a walk in the park.